The Crawford Fund has facilitated a NSW Farm Writers lunch to focus on ‘Biosecurity: National Strategies and International Challenges’. 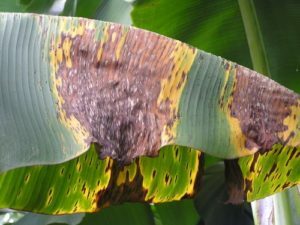 Recent news reports of white spot virus, suspended imports of uncooked prawn meat and banana panama disease remind us—should we even need a reminder—of the important role of biosecurity and the significant risks to our environment, economies, industries, farmers and consumers. So are we getting better at managing the risks? What are the key challenges? What is the best focus for biosecurity research and policy? And what does it all mean for producers and our agricultural industries? what it means from a farmer’s perspective. Dr Helen Scott-Orr is Australia’s inaugural Inspector-General of Biosecurity (IGB), and the coordinator of the NSW Crawford Fund and its training program. As IGB (independent of the Minister, his Department and the Director of Biosecurity), Helen is currently reviewing border breaches and high-risk interceptions into Australia, and the biosecurity considerations relevant to future trade. She has high-level experience in government, education and veterinary practice across three continents and is well known in NSW, having served as Chief of Animal Health. Helen will be addressing issues related to ‘Australia’s national biosecurity system’. Mellissa Wood is General Manager of Global Programs at the Australian Centre for International Agricultural Research (ACIAR), which funds significant biosecurity research and projects of benefit overseas and to Australia. As part of this event Mellissa will address ‘International biosecurity threats and strategies’. Lucinda Corrigan is the Director of Rennylea Pastoral Company, a progressive angus genetics business running 3,000 cattle, located in the Murray Valley east of Albury, since 1988. She chairs the NSW Primary Industries Minister’s Advisory Council and the Advisory Committee of the Graham Centre for Agricultural Innovation. She has been a Director of four cooperative research centres and is a commissioner of ACIAR. Lucinda has been a Director of Meat and Livestock Australia and also worked in the fibre industry. She will address ‘Biosecurity from the farmer and agribusiness perspectives’. The article ‘Climate change risk to biosecurity’, which described the key issues, appeared nationally throughout Fairfax Regional media—Farm Online National, The Land and Stock Journal.